Stella is not a good car traveler. 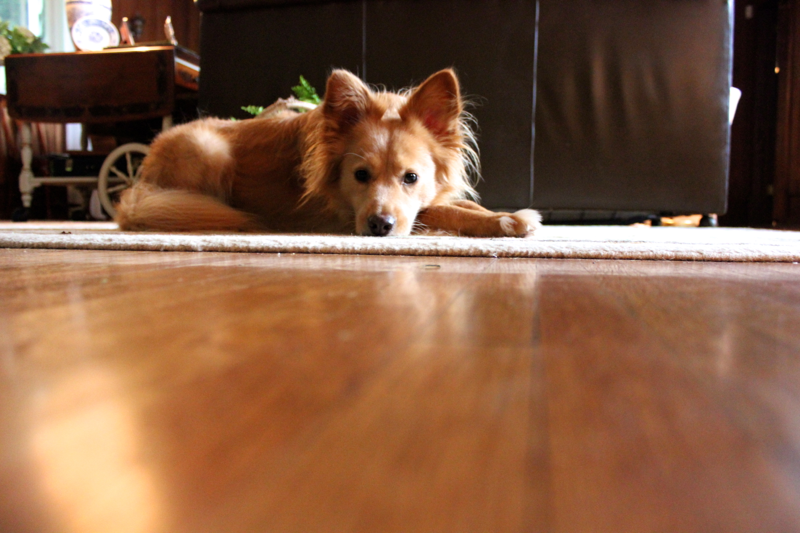 She almost always gets sick, and we’ve tried a million ways to combat her queasiness. Our failed methods include providing fun toys, opening the windows, letting her sit in our flat trunk area, letting her exit the car before we navigate winding parking garages, and giving her anti-stress chews and anti-nausea pills. We braced ourselves for a 7+ hour drive to North Carolina with layers and layers of towels. Two pukes and many miles later, we arrived. Stella could not have been happier to jump out of the car and take off chasing bunnies through the woods. Fortunately, she didn’t catch one! Stella is a true mountain dog and loves navigating rough terrain. 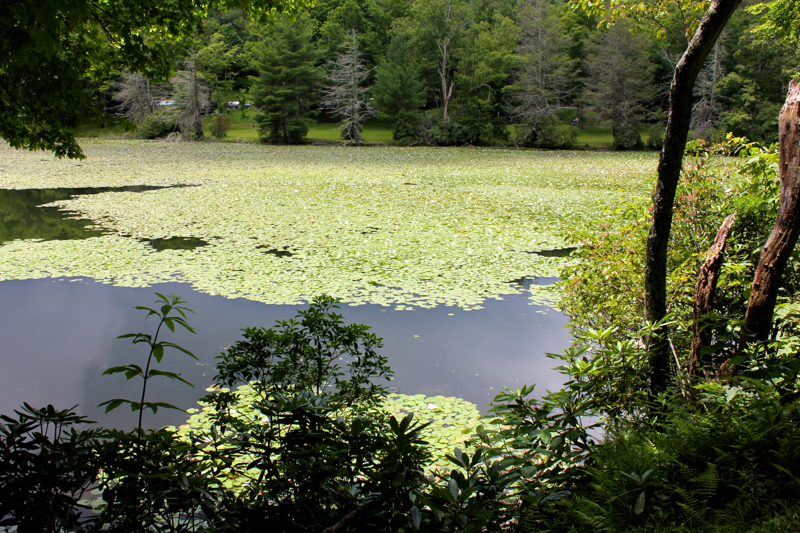 We took her for a much calmer walk around a lake filled with lily pads, just before the rain rolled in. Once it started raining, it didn’t stop. The rain makes Stella squint, so she enjoyed recuperating from her forest adventures inside. It was a very cozy weekend. 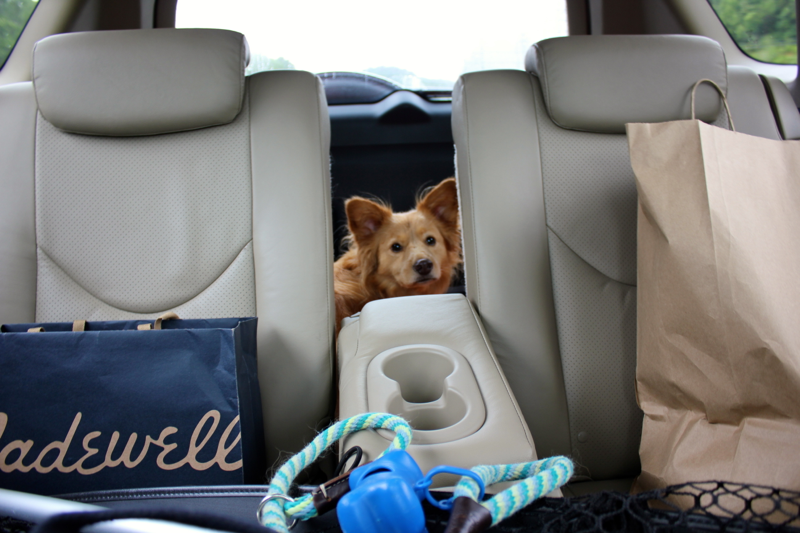 After our rejuvenating days in the cold, misty air, we loaded Stella back into the car for our roadtrip North. But when the rain starts up in the mountains, fog isn’t far behind. 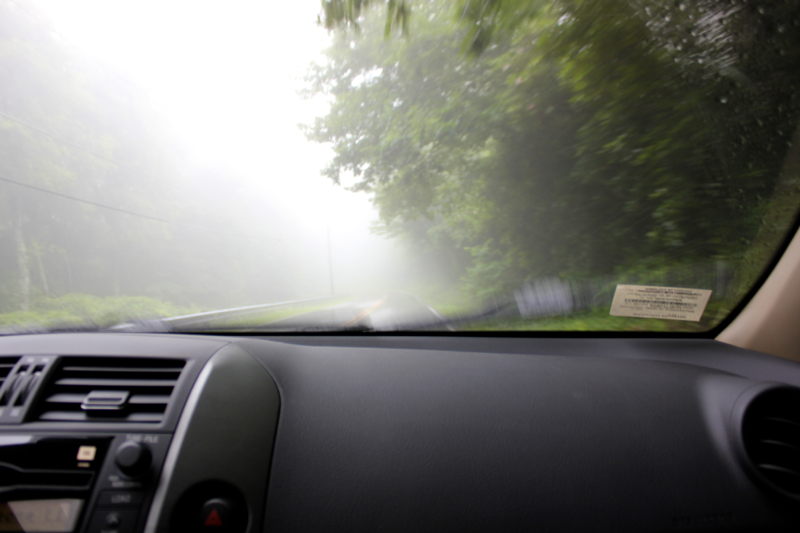 It’s very pretty to look out at the fog from a safe place, but driving along winding roads in it is treacherous and requires concentration. 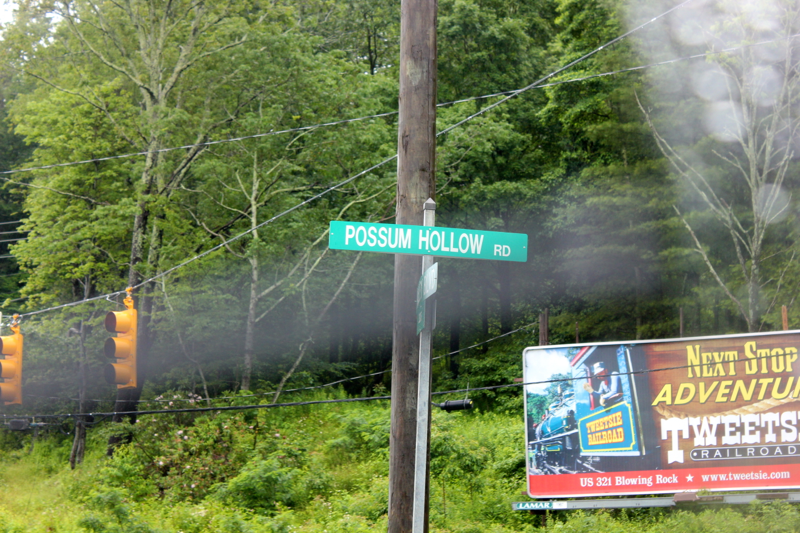 Unfortunately, it is hard to focus on the road when we are bombarded with ridiculously-named streets like Possum Hollow Road. That is one place where I wouldn’t want to take shelter from a storm! The weather cleared up once we got out of the mountains, and we could return our attention to Miss Stella. Chasing bunnies through the woods must be very good for her, because she made it all the way home without giving in to her car sickness.